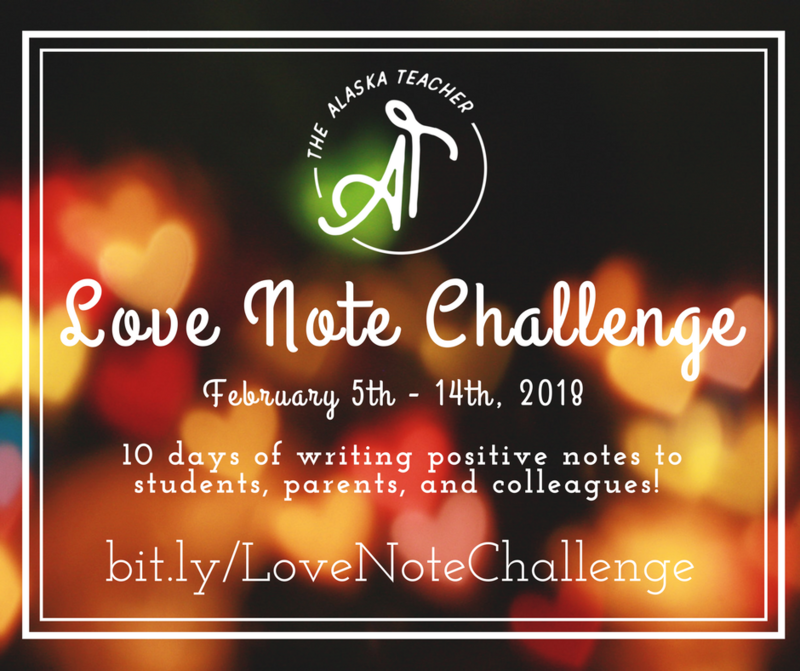 Monday, February 5th marks the start of The Alaska Teacher's Love Note Challenge 2018. If you want to challenge yourself to spread positivity to students, parents, and colleagues for ten days leading up to Valentine's Day, sign up here. Last year I was touched by the effects of a positive note from my daughter's teacher. I resolved to send similar notes home to my own students. And I did. A little bit. I need to jumpstart the habit of positive communication with students, parents, and colleagues, so I'm challenging myself to write positive notes for ten days this month. A public commitment, a little accountability, and some virtual support can make a huge difference in follow-through, so I'm inviting any of my readers or fellow teachers to join in.